Career of Evil is the moment in the Cormoran Strike series when who the main character of the series is shifts almost imperceptibly. As in the preceding novel, The Silkworm, Both leading characters are developed at length. In fact, the author almost ambushes the reader with past trauma, opening a dialog about women, violence, and how different women deal with violence in different ways. Knowing the female author – J.K. Rowling – meant to publish this series secretly under a male pseudonym, Robert, certainly changes how I perceived the novel. More than her preceding two crime novels, Cuckoo’s Calling and The Silkworm, Career of Evil is violent. Violent especially against women both physically and psychologically. Galbraith/Rowling seamlessly weaves between narrators and perspectives in her book, frequently allowing the reader into the mind of the murderer. Sometimes, his thoughts made my skin prickle and my stomach churn. She doesn’t leave the prose at terrifyingly descriptions, however. Galbraith/Rowling uses the variety of violence to showcase the woman who, to me, has become the main character of the series: Robin Ellacott. Mid-way through the book I was smacked with the thought, “my God, this is a feminist novel.” A murder mystery about a man who hunts vulnerable women and sadistically dismembers them, a feminist novel. Perhaps I would have felt differently if the author wasn’t J.K. Rowling, I can’t be sure. What I do know is Rowling’s penchant for transcending the obvious plot to something more profound is on display in Career of Evil. Not only does she craft compelling characters and write flawless prose, she interjects fundamental questions about the human capacity for evil. More significantly, she explores the human capacity to survive and thrive in the face of evil. 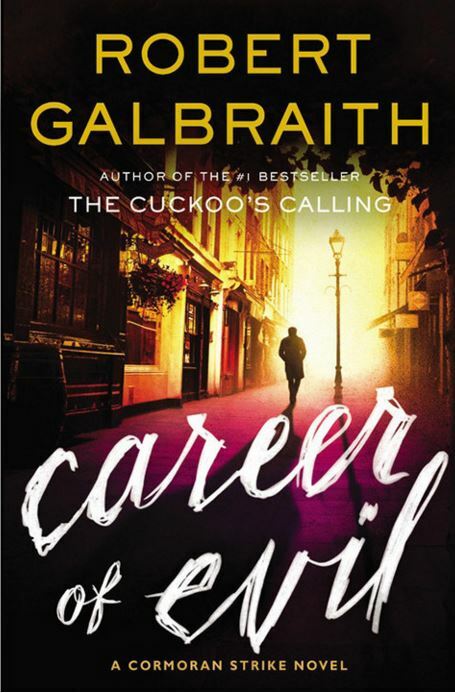 Personally, I still enjoyed Cuckoo’s Calling the best so far from Galbraith, but I Career of Evil was more riveting than The Silkworm. I would recommend for any reader who loves a well developed, fully fleshed out mystery.